Themed weddings are very much on trend right now and for good reason. The right theme can elevate a wedding into something truly extraordinary. It affects every choice you make, from décor to flowers to the dress. 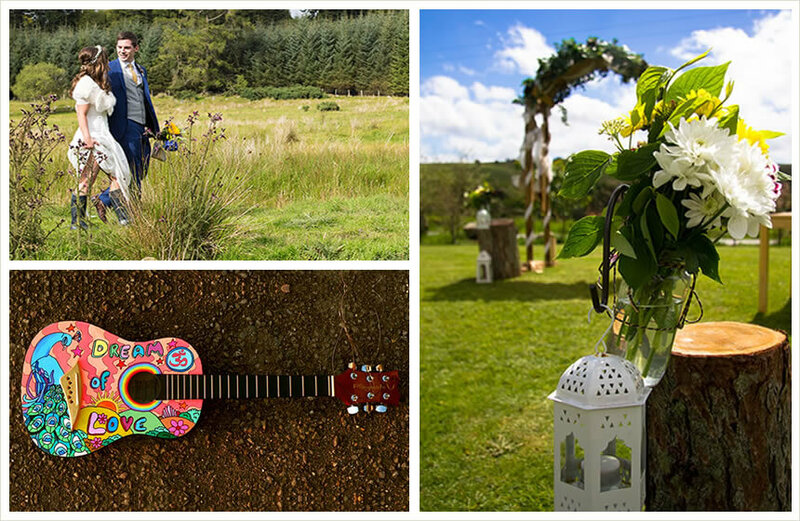 When you come to Kippure Estate for your wedding, we’re more than happy to help you with whatever theme you’d like, from festival style weddings through to bohemian weddings or whatever else your heart desires. 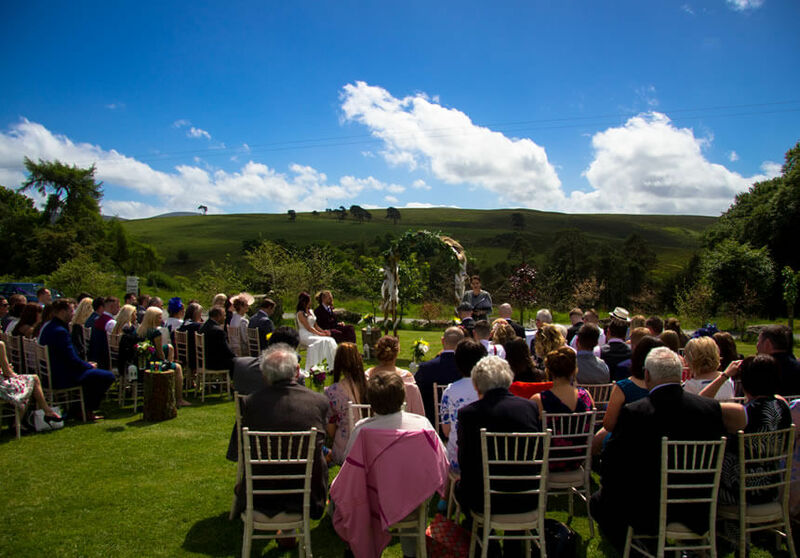 Kippure Estate is the ideal place for a themed wedding. We offer you a choice of locations, so you can select the one which best suits your theme. We provide you with a blank canvas and support you in decorating it however you like. We pay attention to the smallest detail for a perfect wedding. We have a selection of decorations you can use, including bunting, fairy lights, vintage step ladder, palette wall, sweet cart and centre-pieces. Alternatively, you’re very welcome to bring your own. If you’d love a themed wedding, but aren’t sure where to start, here’s some ideas to inspire you. Prepare for your own mini-festival to celebrate your wedding by decorating Kippure’s marquee. With a Wedfest, you can enjoy the feel of a festival, with a marquee for your reception, flowers in your hair, bunting decorations and more! We can provide sparklers, lanyards, wristbands and floral necklaces for an unforgettable party. Enchanted forests, lantern lit woodland walks, fresh air… A forest wedding is perfect for lovers of the Great Outdoors. Exchange your vows in a magical woodland area under a canape of foliage. A romantic ceremony with a unique twist. These days, a green, eco-friendly wedding offers unlimited opportunity for you to have an unique wedding with a social conscience. Everything, including your invitations, transport and even your dress, can be chosen with the environment in mind for an eco-friendly day. Who says you have to be traditional when you exchange your vows? If you like standing out from the crowd, choose something different. Get your guests to dress up as comic book heroes or wear all black. You could even use our stone circle for Celtic weddings or a Game of Thrones-style celebration. It’s your day, after all! If you’re quirkier, let your imagination run wild. Use bright colours and decorate the venue with a rainbow of balloons and streamers. Choose unusual flowers for your bouquet and table decorations and even mismatched furniture for a really out-there touch. Bohemian weddings are casual and carefree, beautiful in their own right. Keep decorations minimal, perhaps using oriental rugs to line the aisle and altar or patterned pillow cushions. You might even want to hang macramé decorations from the ceiling for a true boho feel. Whatever your theme, Kippure Estate will help you bring it to life, so you have the wedding you’ve always wanted, no matter how unique your concept.